In the simplest terms, cocoa butter is the fat in chocolate that makes it melt in your mouth and in your hand. It is a plant fat from the cocoa bean that has a melting point that is just around body temperature (somewhere around 95F, give or take a few degrees, actually), meaning that it is a solid at any temperature below that point and a liquid at any temperature above it. It is this property of cocoa butter – even more than the flavor of cocoa/chocolate itself – that makes chocolate so irresistiblyÂ unique in texture. 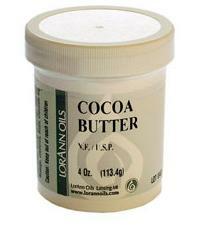 By itself, cocoa butter has a yellowish white color to it. You won’t see it on its own too often, but if you have ever seen chocolate “bloom,”Â or develop a whitish tinge to it, it is usually the cocoa butter rising to the surface of the chocolate after having been through a rapid change in temperature (from hot and melting, to cold, to put it in very simple terms). You can buy cocoa butter online and use it to make your own chocolates. It can also be added to some types of frosting to keep it firmer at room temperature, since it is a little sturdier than butter is at temperatures above 70F and has very little flavor of its own. This is so interesting. Thanks! 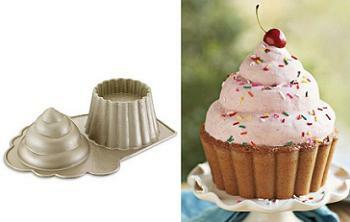 So, does it impart any unique qualities to baked goods (besides the sturdier-frosting bit) than regular butter? I would love to experiment with it someday, but if I wouldn’t be able to tell this difference, then I’ll probably have to experiment later rather than sooner.